As terrorists continue to strike across the globe, MEPs discussed the best way to tackle the increasing threat. 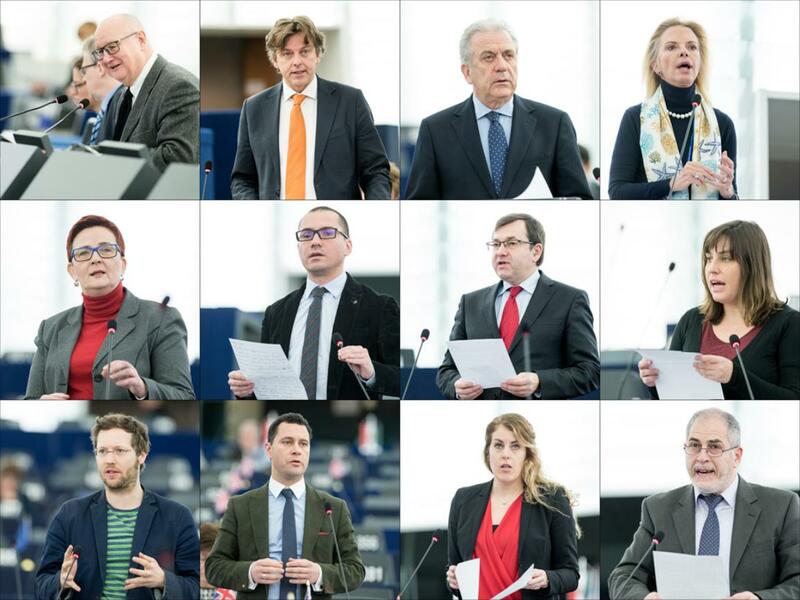 During the debate on Thursday morning speakers stressed the importance of exchanging information as well as the need to strengthen border controls and called on member states to step up collaboration. Member states need to work together with each other and countries outside the EU in order to fight terrorism, many speakers stressed. Dimitris Avramopoulos, the commissioner for migration and home affairs, said: “[Member states] need to trust each other more, share more information between themselves and also with Europol. The threats we face are common, our approaches to the threats need to be common too. This is not a competition; we reinforce each other if we cooperate." The issue of migration proved a contentious issue during the debate. Over the past year an unprecedented number of migrants made their way to Europe leading many countries to temporarily reintroduce border controls within the Schengen zone. Some fear terrorists could make use of the migration crisis to slip into Europe. Steven Woolfe (EFDD, UK) made a distrinction between economic migrants and asylum seekers: "The majority of migrants are economic migrants; the vast majority of asylum seekers are genuinely people fleeing terrorism." He also spoke out against having open borders. Lampros Fountoulis, a non-attached member from Greece, said: "European countries allowed terrorism onto the streets of Europe. (...) We are seeing racism and all sorts of other phenomena. We need sensible ways to tackle terrorists." Although MEPs spoke out in favour of measures to tackle terrorism, several warned these needed to be fair and balanced. Birgit Sippel (S&D, Germany) said a European-wide definition of terrorist acts and other crime was needed: "Fair procedures must always be guaranteed, so that cases don't fall because of insufficient proof. We need to prevent and prosecute." Petr Ježek (ALDE, Czech Republic) called for measures to promote our external and internal security, but stressed: “Of course these measures should be effective but not excessive,” he said. Inês Cristina Zuber (GUE/NGL, Portugal) warned that measures adopted to fight terrorism could undermine freedom. "They are part and parcel of militarisation and war which lead to racism and xenophobia," she said, arguing for an end to interference in sovereign states, which she said was one of the causes of terrorism.